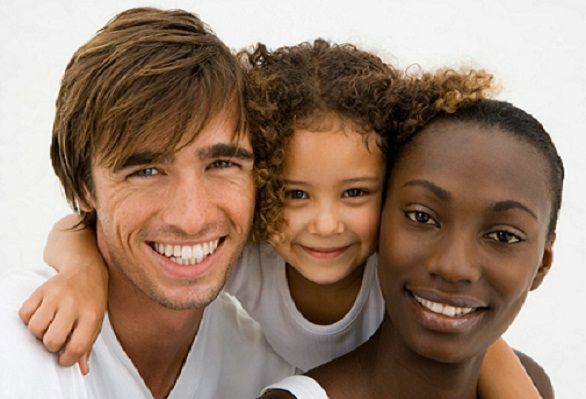 There are more than 70,000 biracial people living in Canada according to Statistics Canada in 2001. They may have any combination of heritage including Aboriginal, black, white, South Asian, Chinese, Korean, Japanese, Southeast Asian, people from the Philippines, Arab/West Asian and Latin American. Christine Chin who is a salesperson with Conservus, a concierge company, calls herself Jamaican-Canadian and Canadian ultimately. She was born in Liverpool, England and came to Canada at the age of 10 ½.
Chin’s great-grandmother on her Mom’s side is Scottish with some Cuban heritage. Chin’s natural hair colour is jet black. It would look blue in the sun like the body of flies. Now with her brown highlights, she could pass for people for the Philippines, Spanish or Puerto Rican. People think she looks like her father who has a Vietnamese and Chinese background. People speak Spanish and Chinese to her. Chin says people try to put her in a box she doesn’t fit in. She says people can’t peg her. However, there are positive things about being biracial. Her former husband is Chinese-born and was raised in Jamaica. She has two boys who look Asian, but you can see the influences of other cultures in their faces. Christine Chin’s beauty has lead to interesting experiences. The handsome Kim Barry Brunhuber whose father is from Cameroon and mother is white South African has also had dynamic career options being biracial. His step-father is Puerto-Rican and his mother had a daughter with the step-father who is his half-sister. Brunhuber grew up around different cultural influences that have inspired his career. “I’ve had many various professional experiences: writer, broadcaster, even (to a small extent) actor,” says Brunhuber. Brunhuber was born in Montreal and grew up in Ottawa. He doesn’t know how being biracial has affected him professionally. Brunhuber is the author of a book called Kameleon Man. His parents met at Cornell University in the United States at the African Students’ Club. Brunhuber says he can move easily between different cultures. He has a love for languages and a keen interest in other cultures which accounts for his love of travel. He speaks English, French, Spanish and some German – enough to order a beer, not enough to buy one for someone else. He’s currently working on a novel set in Africa. He’s working in Sierra Leone for a year with Journalists for Human Rights. He reflects on the way he’s perceived internationally. Brunhuber doesn’t see a shared future for biracial people in Canada. He says recent Canadian statistics state that 75 percent of Canadians would not marry outside of their race. Jamaican-Canadian Christine Chin says that in the 1970’s when she first came to Canada, it wasn’t’ the best time to be non-white. However, she says things have changed. “The barriers aren’t here these days,” says Chin. “Toronto is different. Thanks for your message. If you make a donation to the site, I will post your ad. HI EVERYONE! BLESSED BE AND PEACE BE ON THOSE WHO ARE TRUE TO THEMSELVES.Now I’ll start with my own usual decree and that’s that I’m a man first before anything,secondly that I’m a single father of one who still has high hopes and even more so for my son.However this sort of topic on being bi-racial and living in North America is a sensitive issue not to be taken too lightly.My father is black from Jamaica and my mother is white from Canada.I have a probleme with the concept that if your mixed you have the best of both worlds, because In a way sadly enough that’s stereotypical,I find that it’s often not true,there’s to many contradictions to that saying.First on a social scale it can be quite confusing and even frustrating.If your attracted to a white female for exemple,being a brown man,you may not be white enough for those who are conservative but at the same time your not black enough for those who are so-called open minded either.Moreover In talking to a lot men and woman from the US and Canada that are mixed like me, I’ve notice that most of us like or I should say,want the freedom to be with anyone they choose to love.But because of social conformity and it’s blind political dogmatism,society tries to convey some of us into a box.I can go on and on, on how this silly one-drop rule makes no sense,after all ,I have,like so many people out there,have gotten also racial tension from blacks too.There’s nothing positive about hypocrisy and mind games,moreover ironically the same can be said about bi-racial women who are into black males but feel that a lot of them are chasing white girls all over the place.OH also on a personnal note you don’t want to asked me what I think Mr. Obama is.Anyway no matter how you see it you can’t help that there is something odd or alien at work here and that’t the thruth. Thank you very much. Keep on reading!